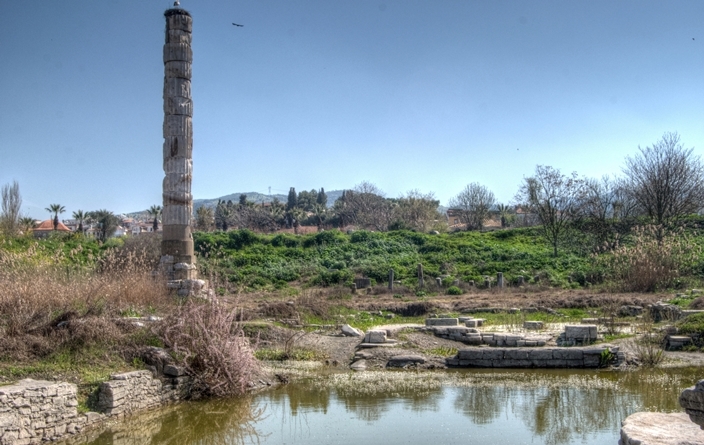 A trip to Turkey would not be complete without a trip to the Temple of Artemis, one of the Seven Wonders of the Ancient World. 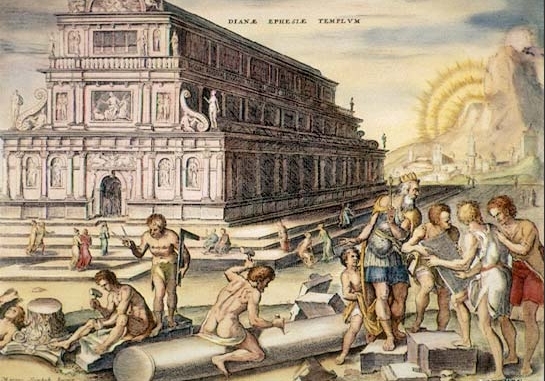 The Temple of Artemis was built in 650 BC under the reign of King Croesus of Lydia as a place of worship to the Greek goddess of hunt and wilderness, Artemis, who was also the twin of Apollo. The temple, except for its roof, was made out of marble and succeeded the grandiosity of the Parthenon. It was a sanctuary for wonderful pieces of art, much of those were sculptures by famous Greek artists Cresilas, Pheidias and Polyclitus. The wealthy citizens of Ephesus also donated extravagant pieces of jewelry, silver and gold to adorn the temple. It was destroyed in 356 BC by a young man named Herostratus, who wanted to gain infamy by burning down the magnificent building. I have seen the walls and Hanging Gardens of ancient Babylon,the statue of Olympian Zeus, the Colossus of Rhodes, the mighty work of the high Pyramids and the tomb of Mausolus. But when I saw the temple at Ephesus rising to the clouds, all these other wonders were put in the shade. What stands now is a lone 13-feet column that serves as a reminder of the lavishness of the ancient times.